The Tri-Color Messenger Bag from Something Strong is just what you need to stay organized in style. It has a place for just about everything, including a padded laptop compartment. Normally $129, you can pick one up today for just $49.99 + free shipping - over 60% off the original price. 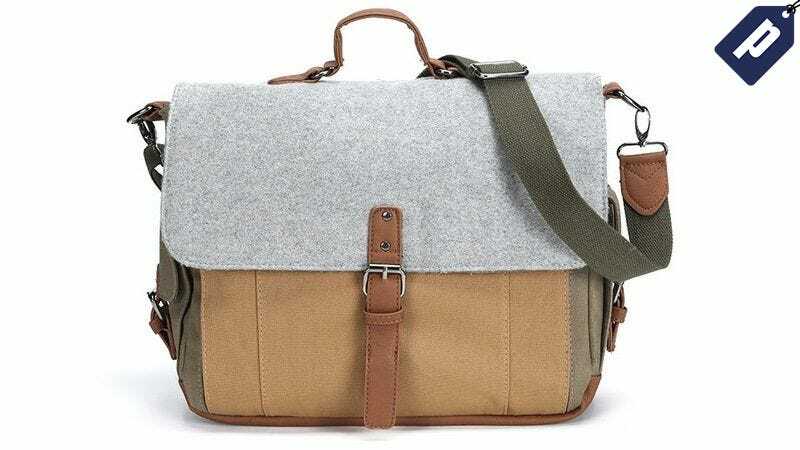 This strong and durable messenger bag is made from canvas and wool, and comes in a green, gray, and brown color scheme. The adjustable strap ensures a comfortable fit, and the magnetic snap closure offers quick and easy access to whatever you’re carrying. Slip your phone, laptop, and other daily essentials in and carry in style. Normally $129, you can get the Something Strong Messenger Bag for just $49.99 + free US shipping - over 60% off. Grab yours today.